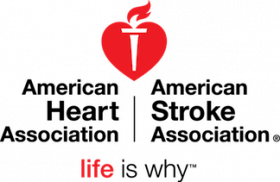 The American Heart Association (AHA) has an excellent opportunity for a Senior Regional Director managing the Alexandria, Lake Charles, and Shreveport, Louisiana territories. This position will manage three regional directors. Responsible for developing and maintaining relationships with AHA corporate partners and selling sponsorships for major events – Heart Walk, Go Red for Women, and Heart Gala. Manages staff to ensure that income goals are met or exceeded by following best practices and key strategies. Ability to be a player coach and be responsible for the sales and procurement of corporate sponsors and fundraising teams. Assists staff in recruiting and retaining a strong volunteer network. Supervises goal setting and establishes specific performance objectives for staff. Cultivates and maintains relationships with key volunteers and companies. Provides one on one coaching to staff by traveling with staff in the field on a regular basis. With supervisor, interviews, hires and evaluates the performance of all regional staff. Works with the Field Operations Consultant to provide training to staff; provides day to day consultation and guidance to direct reports. Monitors staff performance against timelines and best practices by using monthly assessments, plans of action, and weekly activity reports as required. Responsible for the content and running of monthly team meetings to disseminate information, assure compliance with best practices as well as build team morale. Responsible for the midyear and annual performance reviews; and documentation of staff noncompliance. Responsible for keeping staff abreast of trends, conditions and issues that may impact fundraising and volunteer management. Participates in the Field Operations Management Team and assists in planning training and Affiliate wide meetings. Builds and maintains positive collaborative working relationships with other Affiliate departments and staff and looks for avenues to integrate AHA messages into existing activities. Responds to voice mail, email and all other requests on a timely basis. Uses databases to analyze campaigns strengths and weaknesses. Meets deadlines. Responsible for managing an assigned number of accounts to maximize the relationship between the account and the AHA. Networks and prospects before, during, and after hours. Ideal candidate will have 3-5 years of prior outside sales or professional fundraising experience. Must have a successful track record of meeting and exceeding goals and expectations, along with demonstrated negotiation and motivation skills. Preference will be given to local candidates.